UNESCO has recently relaunched its magazine the UNESCO Courier, which is published quarterly in seven languages. The magazine discusses global issues that concern the entire planet. The People’s Republic of China has provided a financial support to revive the UNESCO Courier after a five-year break. 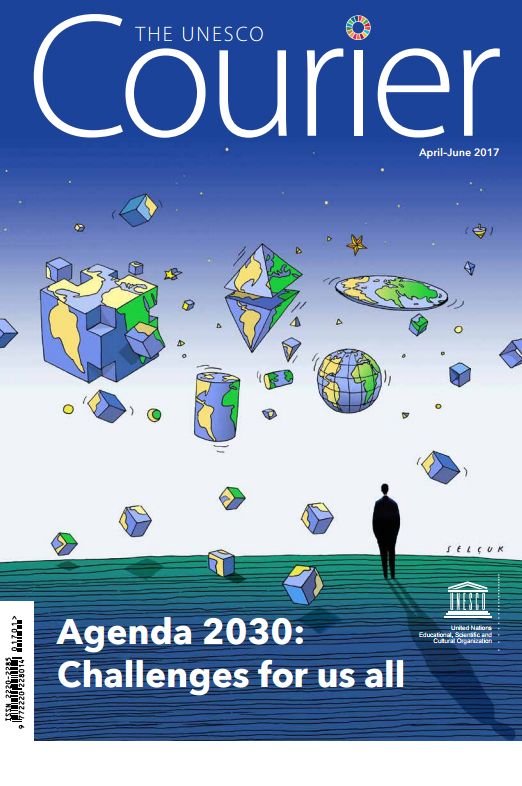 A new issue is called “Agenda 2030: Challenges for us all”. It has six rubrics devoted to different topics, such as climate change and sustainable energy, the future of cities and Smart Cities, technologies’ role in establishing efficient democratic institutions, current perception of Koran, celebration of the World Freedom day and the International Jazz Day, and Jeju Island’s haenyeo, the women divers from the Republic of Korea. Contributors from around the world have helped to create an exclusive content that falls within the 2030 Agenda for Sustainable Development that the UN have adopted in September 2015. Since its creation in 1948, the UNESCO Courier has been spreading an ideal throughout the world: humanity united in its diversity around universal values and fundamental rights, strong in the wealth of its cultures, knowledge and accomplishments.